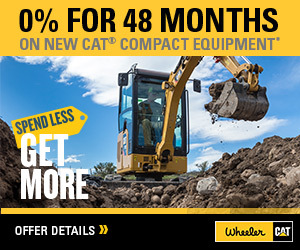 Huntington | Wheeler Machinery Co.
Wheeler Machinery Co. is your premier Cat® dealer in Utah. Supporting all industries in the area, we provide new, used and rental equipment as well as parts and services. If you are searching for full-service solutions, we are near the Huntington City Park, a few blocks away from Huntington Elementary School and close to City Hall. Heavy equipment for sale in Huntington, Utah, is the perfect way to boost your fleet with primary machinery you need on the job site. We provide a range of equipment for every industry as well as power generation, air compressors and attachments. Caterpillar® is the heavy equipment leader of the world with machines that have superior durability, unparalleled reliability and excellent fuel efficiency along with optimal levels of performance. By investing in new equipment, you can increase your company’s bottom line, heighten productivity and own machinery that will last for the long haul. Wheeler Machinery Co. also provides Cat equipment in Huntington equipped with a manufacturer’s warranty. Our Cat-certified used machines are in incredible condition, as our technicians inspect up to 140 points and maintain each with Genuine Cat parts. We use advanced technology to ensure optimal running conditions and offer unequaled product support. Our experts have superior knowledge about Cat equipment and provide each client with extended coverage and equipment maintenance history. We support rental categories such as agricultural equipment, attachments, heavy machinery and power systems when buying new isn’t the best move. 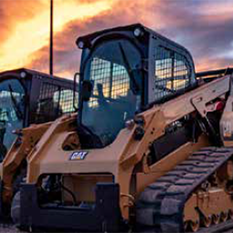 Our equipment rentals pair you with reliable construction machines. Wheeler’s full line of mid-sized and smaller Cat machines and other brands allow you to maximize productivity with our serviced and maintained solutions. As a full-service rental dealership, we help every industry and give you access to equipment you need, plus tools and attachments. If you can’t stop by our Huntington location for the parts you need, rely on Parts.Cat.Com for 24/7 access to our inventory. It’s a convenient and simple way to order parts like belts, filters, seals and O-rings. You need quick access when you make repairs on your own, so shop by category for a simpler process. The site also has Cat SIS, which gives you millions of part numbers, service documentation and books. It’s up-to-date with technical information to make for a fast checkout. Wheeler also offers a parts return policy, several drop box locations and tracking for parts delivery. When unsuspected breakdowns occur on-site, Wheeler technicians are available to support you at any location. With more than 90 service field trucks, our solutions range from condition monitoring, fluid analysis and scheduled and field services to sandblasting, machining, component rebuild and preventative maintenance. 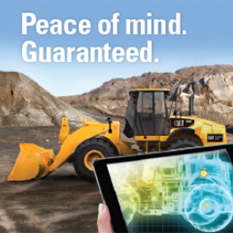 Prepared to help at your job site or ours, Wheeler keeps you running and even offers equipment transport. Each service truck has remote access to our team of communicators as well as Caterpillar’s tech library. Our preventative maintenance prevents downtime and future repairs and we provide lube services and component rebuilds on any make or model of machine. Our relationship with you surpasses the point of purchase as we partner with each client for the long term. Operating since 1951, Wheeler’s solutions help increase profitability as we provide the products you need right away with tailored results. Visit our Huntington location, contact us online for more information or call 435-687-1200. You can even speak with your local sales representative for extra support.